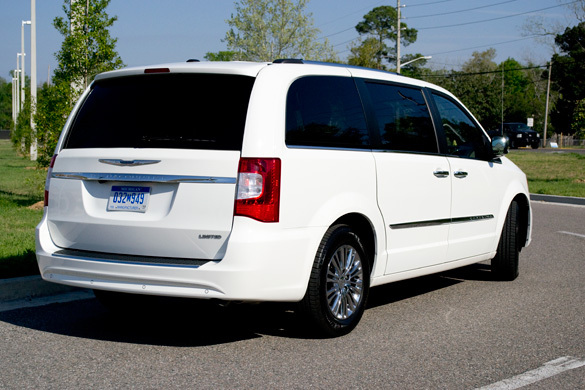 When it comes to searching for transportation that can seat 7 passengers, the Chrysler Town & Country is one of those vehicles to fit that demographic in America. This has been and continues to be on the forefront in the minivan segment. 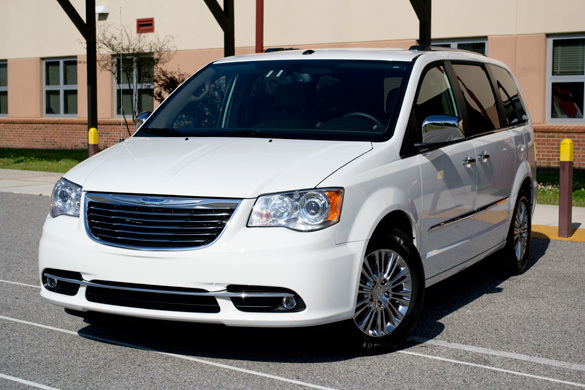 The 2011 Chrysler Town & Country now introduces newly styled exterior, a slightly enhanced interior, and the new Pentastar 3.6-liter V6 engine. At the heart of America, the minivan somehow still manages to find its way into many homes along side of the gas-guzzling SUV alternatives. 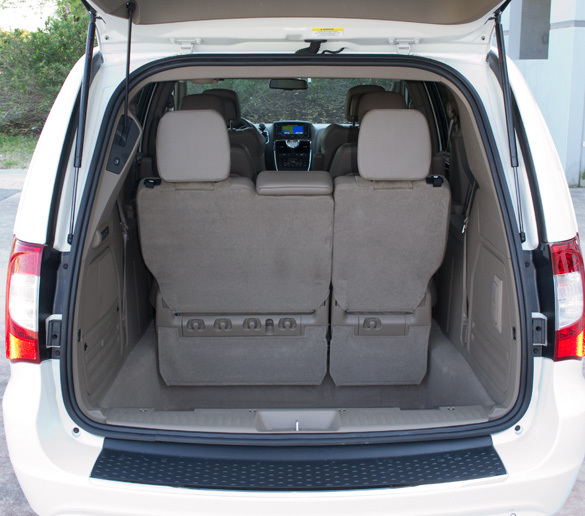 With gas prices steadily rising, the minivan has become an attractive choice with families needing the extra seating. 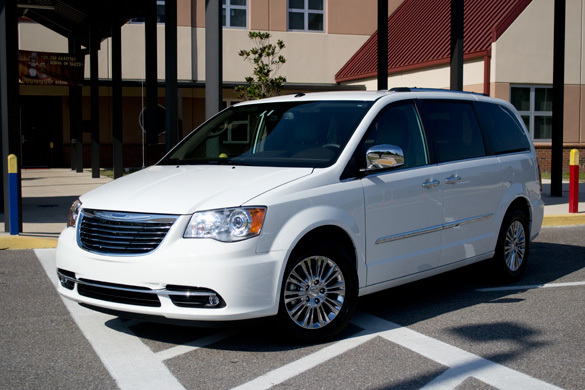 The new Chrysler Town & Country beckons to fill that void. 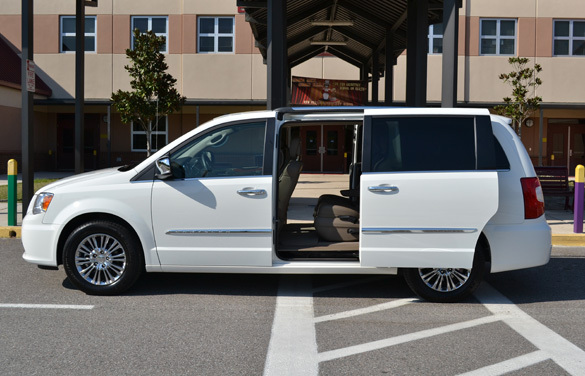 Some will argue that there is no such thing as a luxury minivan and I would have to somewhat agree with that notion. 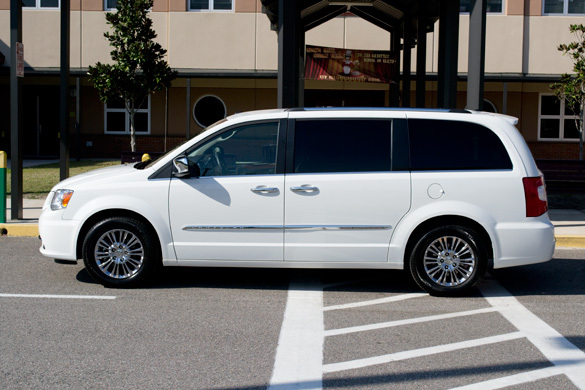 However, after spending a week in the new Chrysler Town & Country Limited edition, I must admit that if there really is such a thing as a luxury minivan, then the Town & Country Limited would fit the bill. 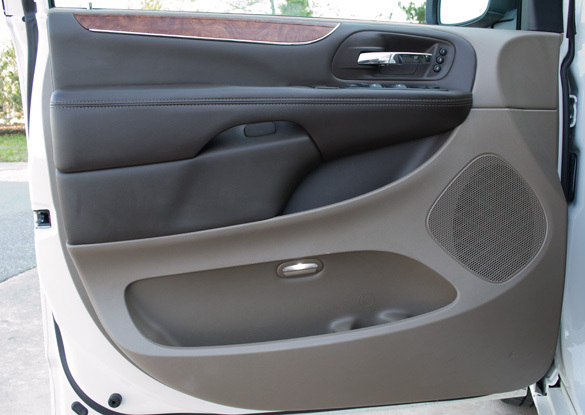 My 2011 Town & Country Limited minivan was loaded with several luxury amenities offering a cushy ride that could put you to sleep. Setting the Town & Country apart from a base model Dodge Grand Caravan are a few extra “luxury” features such as a heated steering wheel, rear power liftgate, upgraded leather appointed seats, keyless entry-exit with push-button start, Xenon headlights, 17-inch aluminum wheels, blind-spot monitoring w/ cross-path detection, heated front and second row seats, 6.5-inch touch-screen Garmin-based navigation/satellite stereo system and rear-seat dual-screen DVD/satellite TV entertainment system. 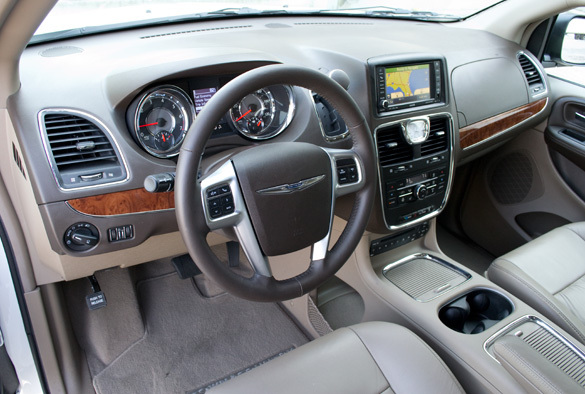 The list of options that can be had on a new Town & Country is rather long but delightfully appeases to the needs of owners and potential buyers. 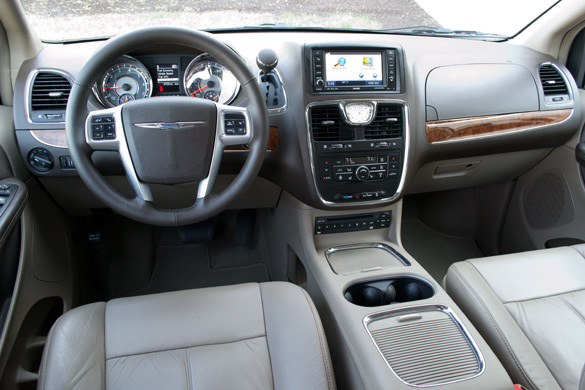 Driving the new Chrysler Town & Country can at times put you in a state of serenity but I am not sure that is such a good thing when nothing excites you except the surround sound coming from the rear-seat entertainment system. 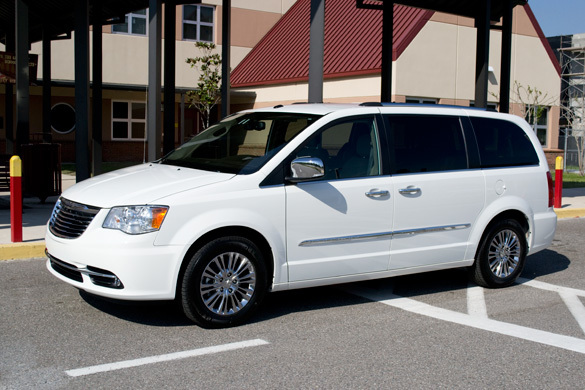 The ride of the Town & Country is soft, the softest out of any minivan I have driven. 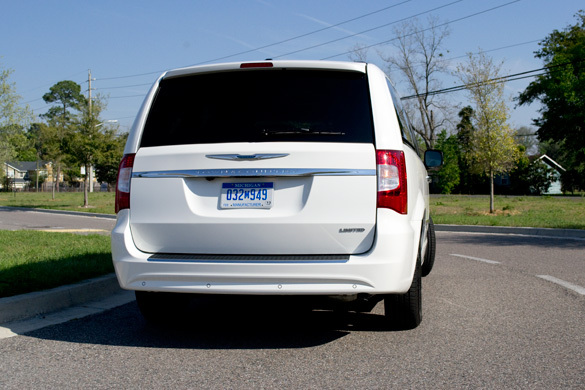 Fortunately, the shock rebound keeps the Town & Country civilized on bumpy roads but mushy around corners this has improved to a great extent over previous years Chrysler Town & Country. In other words, the Town & Country feels heavy at times. 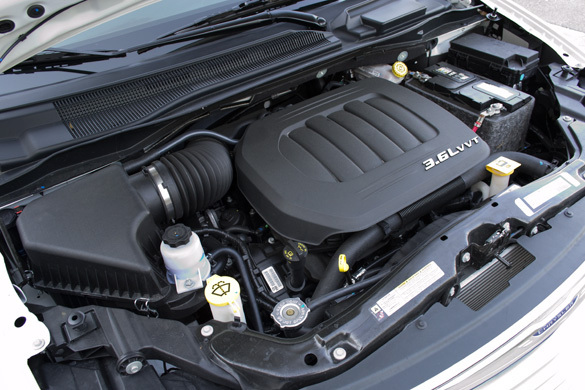 The Pentastar V6 engine with 283 horsepower and 260 pound-feet of torque does a decent job of toting around all 4652 pounds plus cargo. 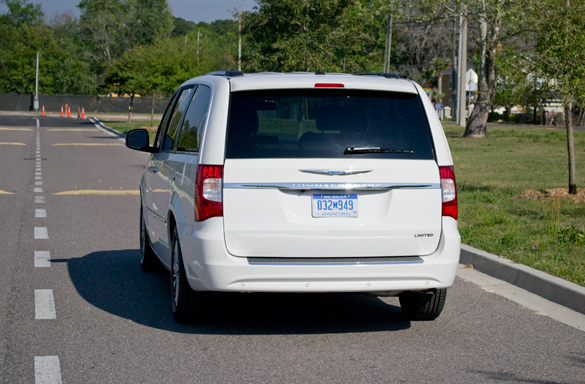 The Town & Country is noticeably slower than the comparable Honda Odyssey and Toyota Sienna V6 but still manages to provide a sufficient amount of passing power on the highway. The steering feel is a bit neutral, but the rack provides a great turning radius in tight spots for such a large vehicle. 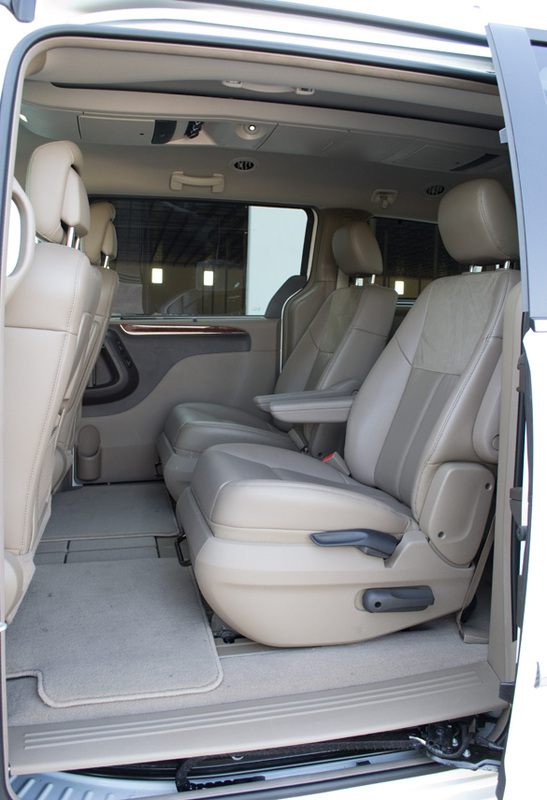 Inside of the new Town & Country you will find ample seating for 7 passengers. 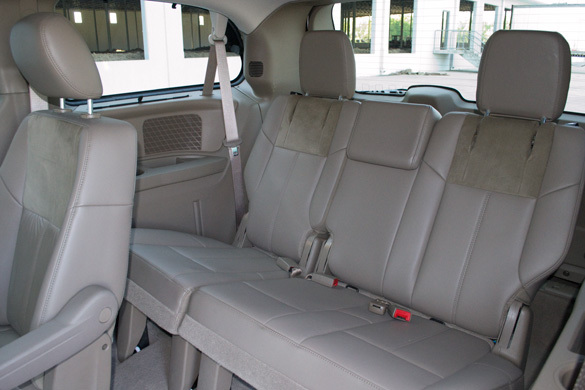 My 7-passenger Town & Country surprisingly had comfortable 3rd row power-folding seats. The 3rd row is by far the easiest to fold out of the way via the power controls. The power folding 3rd row (Stow n’ Go) offers the ability to fold them fully down or in a reclined configuration all with a push of a button. 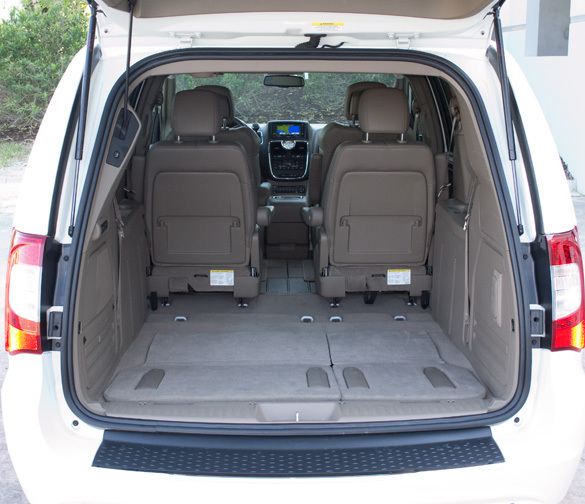 This is a major selling point for those looking for a minivan that offers easily obtainable flavors of rear seating and storage options. 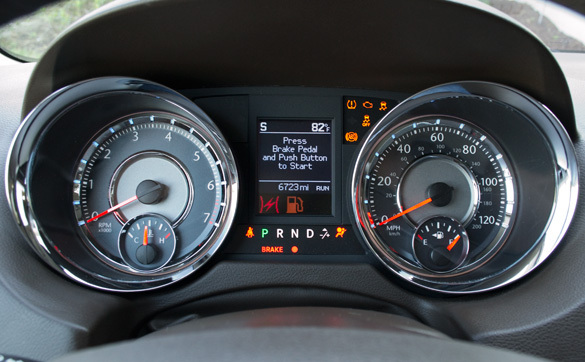 The three-zone climate controls add to the comfort for rear passengers with a full-set of controls to isolate them from the two front zones. 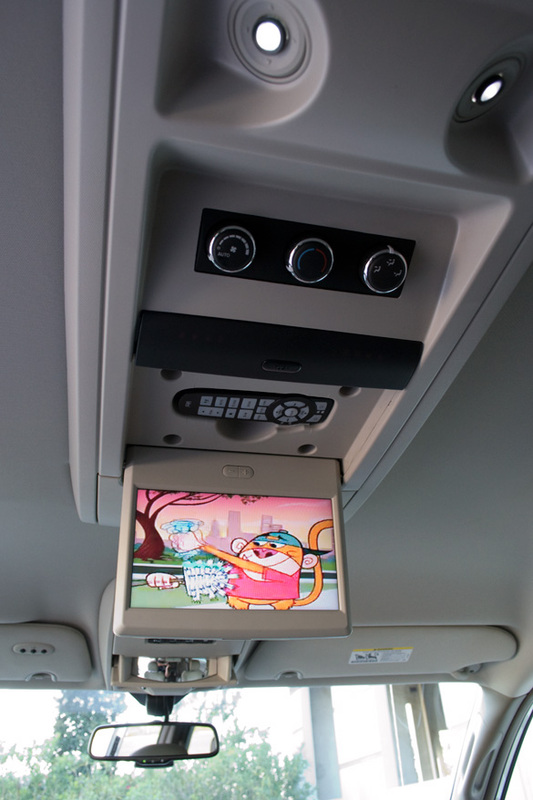 Adjustable LED ambient lighting through the rear seating areas and roof put the icing on the cake for this ‘luxury’ minivan. 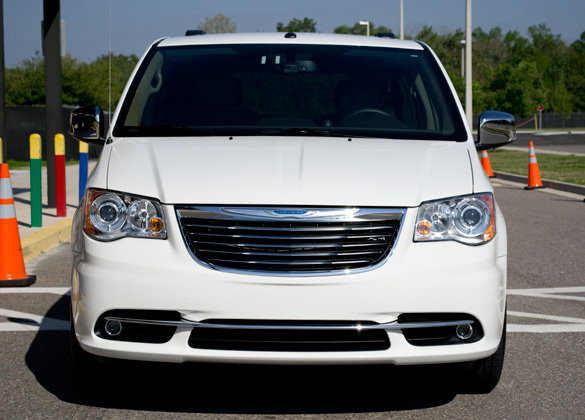 Overall the new 2011 Chrysler Town & Country is an excellent contender in the minivan segment. 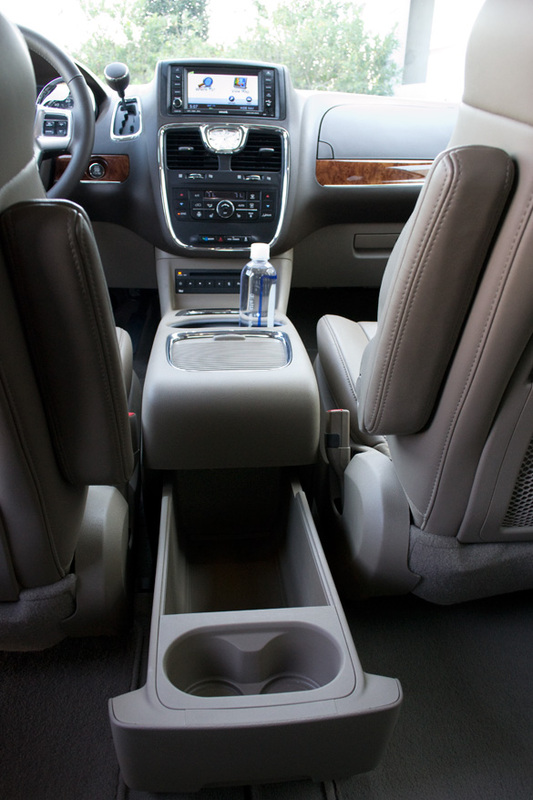 Given that the Town & Country is more of a subdued and luxury-appointed minivan, it may appeal to a certain type of buyer more-so than say the sportier Toyota Sienna and Honda Odyssey. Gas mileage has also been improved getting a good 17mpg city and 25mpg highway. The 20-gallon tank allows a long cruise range of up to 500 miles on a single fill-up. 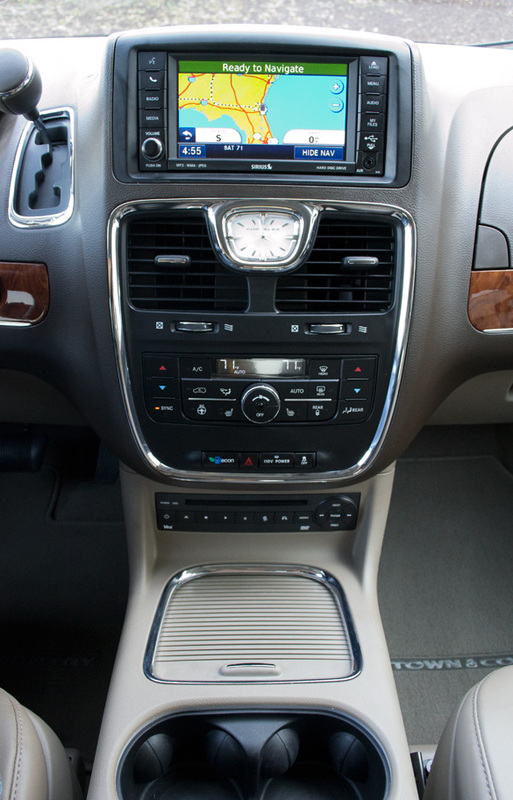 That makes the new Town & Country perfectly fit for a town or country cruise, no pun intended. 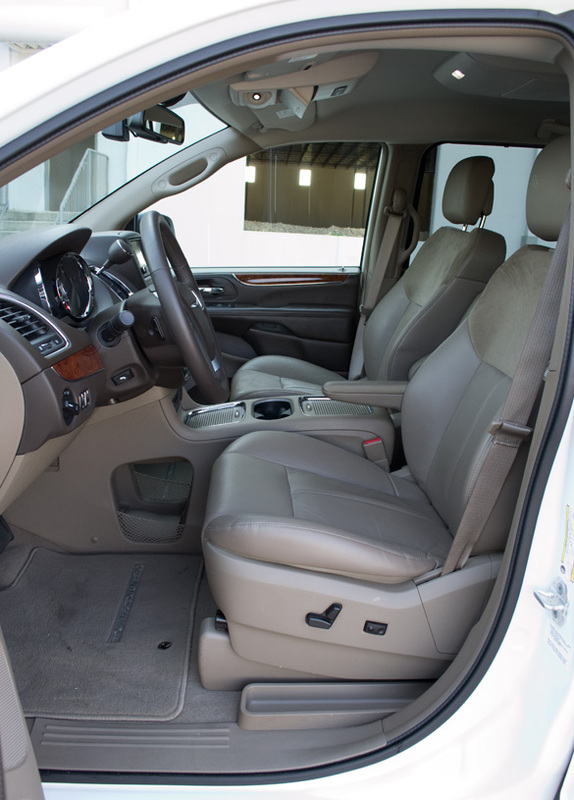 The Limited edition Town & Country starts at $38,660 while my test vehicle came in at $40,410 with the optional Stow n’ Go power-folding 3rd row seats and second row luxury bucket seats. 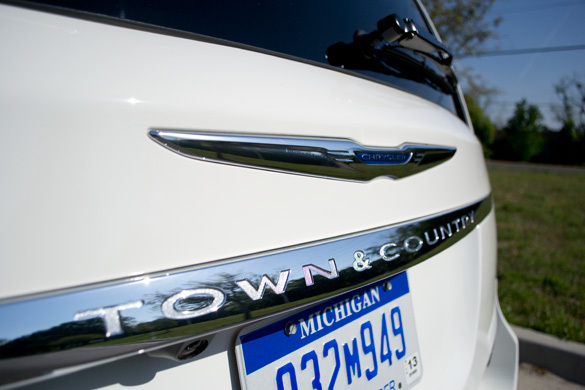 The Touring edition Town & Country starts at just $30,106.